On this week’s episode of Slasher Studios Horror Webcast, our hosts Kevin Sommerfield and Steve Goltz will be going over their favorite horror movie masks. Because, let’s be honest, what’s a good slasher without a really good, creepy mask? 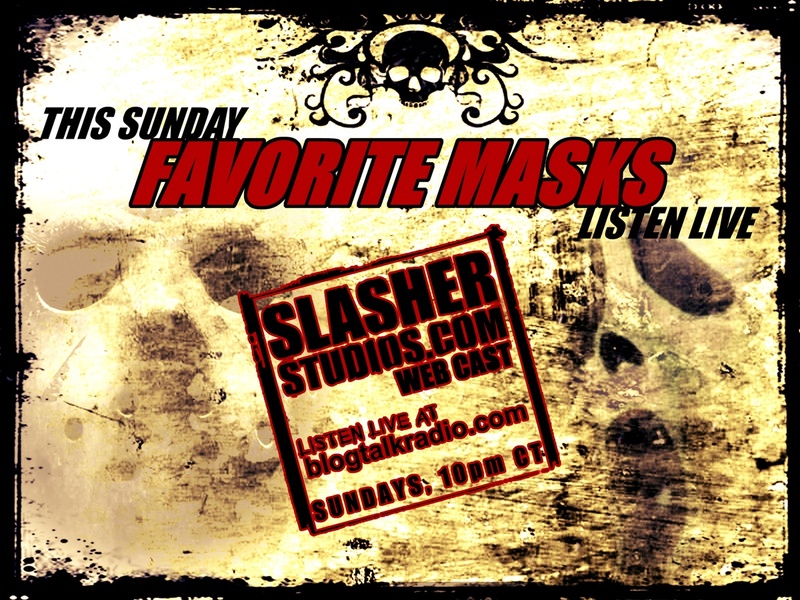 Click on the link below to listen in live Sunday night at 10PM central to find out what horror movie masks make the final cut!